As kids, we could throw a fit. I remember both my kids – they each threw fewer than 3 or 4 tantrums. Once they found that no matter how much they screamed or pounded fists on the ground, the only result was firm, swift discipline, they gave up. No point in pursuing what’s not working. Might as well switch tactics, right? Why more don’t do this in business is beyond me. Run into a brick wall, then switch up your approach. Doing the same thing won’t change the outcome. You only have a few choices: go through it, around it, over it and do nothing. Most do nothing and complain. Sort of like throwing a tantrum, adult style. Yes, I get it; it’s not easy. Nothing worth doing is. And, were it easy being a dentist, owning your own practice(s) and being responsible for 5 to 50 or more mouths to feed (employees), the reward would be minimal. ‘Tis why fortune favors the bold. You rarely hear of some lazy, sloth-like loser striking it rich or living “the good life.” Or, for that matter, trying to become or being a dentist. So, back to paragraph 1…When you’re not getting what you want out of your business, your employees, your customers, then it’s time to make some changes. Most of the time, we can look in the mirror and if we decide to change our own habits, there is almost immediate correlating uptick in the outcomes we do want. Most of the time, it’s us holding up traffic and progress. If leadership, for example, is lacking in your office, someone needs to step up and take on that role. It might be the doctor or it might be someone else. There has to be a leader. If you’re the owner, it likely should be you. Another area – new patients. If you’re down on new patient numbers, there are DOZENS of things you can do almost immediately to increase new patient flow. Oftentimes, at no cost. Think: REFERRALS. And incentives for your team to refer. Think: CONTESTS. Think: joint venture mailings with professionals who have a patient or customer base you’d like to tap. And the list goes on and on. There’s no reason to be stagnant. Many times we are in our own way. I’ve seen it more recently than any other time in my over 20 years in Dentistry as I’ve had the opportunity to really dig deep with some Members and examine if they’d in fact be good franchise candidates. This process is lengthy. Not easy. And, may well frustrate some. It’s been during these where I’ve heard comments which reveal why most remain platueaed — in large part because they refuse to get out of their own way. Fear keeps feet rooted in place. Fear prevents us from experienceing the next level. Look at is this way: You’ve done what 99.9% of the world will never do. You pursued an advanced degree that when put to use, has the ability to change lives for the better nearly instantly. Few people can say that. Very few. I can’t. My magic is marketing and business creation. Yours affects the health and the lives of your patients. My point? Be bold. Be daring. Don’t be a wall flower wondering “what” will happen. MAKE something happen. For you. For your family. For your employees. The Middle’s Disappearing: Which Direction Do You Go? If you have more than 5 to 10 years left in Dentistry, you’ll want to start considering how the income pyramid is changing, has changed and will continue to change. The middle class is shrinking. The top is growing. The bottom is growing faster, and most in the middle, headed to the bottom. Why’s this important to you? Depending on what patient class you predominately serve, your business model and for sure, marketing model, will be forced to change and adapt. If you serve the lower class, a lot of Medicaid patients, or your practice location is in a dying area, I’m waiving a massive yellow flag of caution at you. Unless you change your business model to deal with your patient base’s economic reality, you’ll find yourself dealing with tighter and tighter margins. If income per patient is dropping (run a Dentrix report from 2008 to 2018-YTD and compare), then you really have a problem that must be addressed now. Not later. Maybe even a re-location is in order. If your income per patient has dropped, that means you’re having to see more pts to make the same amount of money, and for sure, your overhead must be pushed down to the bare minimum to compensate in the short-term. However, just because your income/pt is down, there may be other factors at-hand that need to be reviewed. Reach out to me if that’s the case. If you’re in the middle, you need to make a decision. If your patients are predominately blue collar with a mix of upper and lower incomes, my advice: Skew to a higher income. Change the dynamics of your physical plant, your location, your staff, what you offer (as example, affluent patients have a different motivation for going to the dentist – and they’ll pay more to go less), etc., to cater to a higher income. And, most importantly, you’ll likely need to change the way you market your practice and to whom you market. In the near future, as this income shift plays out and the middle continues to wither on the vine, there will be a more clearly defined place for each kind of practice, but the model of each are so different that co-existing in the same physical space and location are going to be more and more challenging if not impossible. You will need to make a choice. And, the existence of chain dentistry will make this easier for you. At many offices, this economic reality is setting in. Plan and do demographic research now to find out where your patient base lies. You may need a location change, a facelift, and a different approach to marketing – making sure your message gets into the hands of those you want to attract. That means working harder and more diligently at generating referrals. And, it means making sure every team member takes advantage of every selling opportunity. The alternative is ugly. Schedule regular ongoing training every week (2x a week). Train, train and train some more. Start with your mission, vision and core values. Then, expand from there. Cover the “simple” things you expect everyone to know, but most in fact don’t, like, how to answer phones, how to greet visitors that appear at the door, how you want the folks behind the desk to STAND UP and maybe even go around the counter and welcome guests when they arrive, how an office tour is conducted, how money is collected and finances are arranged (Think that’s just a front desk only job? ALL on your team should know how it works so they can talk intelligently about it – because, patients will ask the one who has “no clue!”), how new patients are handled, and on and on and on. If you don’t train on this stuff and do it regularly, how can you expect it to be done the way you want? Oh, and don’t get me wrong, it’s not YOU doing the training, it should be your team leader, department leader, or DAs, hygienists, etc. all chipping in and doing training. What you’ll find is that many of them could not, right now, conduct a training because they have no idea how you’d like to handle much of these simple, small things! Create a calendar with topics and get going. If you do 2 trainings a week at a half-hour each, that’s 8 sessions and a total of 4 hours of training in the next 30 days! Dr. Bob Ueber of Ft. Wayne, Indiana, has been a ClearPath Society member since 2014 and was introduced to Jerry at a speaking engagement in Dallas, TX. This office is a prime example of how Jerry Jones Direct can change a practice in a very short period of time. 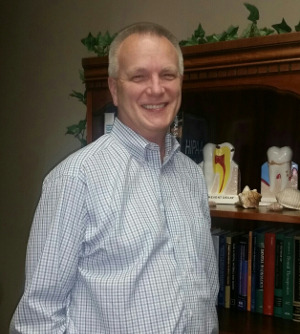 In February, Dr. Bob engaged Jerry Jones Direct to help stimulate growth for a practice he’d recently purchased in a feeder community to Ft. Wayne. After a remodel and overhauling some of the systems and team members, he was set for an increase in new patient flow. As you can imagine, Dr. Bob is thrilled with his results! The data speaks for itself. Investing in the future has given this office immediate results. We can’t wait to share what the numbers look like for Dr. Bob this time next year! We’ve done a number of case studies sharing how our ClearPath Society® Members leverage their Membership benefits to increase their new patient and existing patient marketing ROI (return on investment). We are proud to be affiliated with them all. Not only is the following case study a prime example of great results from one of our marketing systems, it’s also an amazing story of patient relationship building. We met Dr. Bare through our long-time friend and dental consultant, Dr. Tom Orent. Dr. Bare chose to run one of our successful Retro New Patient Exam Free Standing Inserts (FSI) in his local newspaper. Many believe that since the majority of newspapers are on life support and nearly dead they should put the proverbial fork in them. Though it’s important to be aware of and using as many different media available in your area to promote your practice, it’s also a well known “success tip” not to put all your eggs in one basket – especially one that is evolving as quickly and unpredictably as digital/online marketing. As Dr. Bare tells it, he left late in the week for a conference and returned with an ecstatic staff: 19 prospective new patient phone calls, all while he was gone! Of the 19, Dr. Bare’s team appointed 12 as New Patient! Of those 12 appointments, 11 patients showed AND have already undergone substantial follow-up treatments to include implants and dentures! We’re proud to credit Dr. Bare and his team for their phenomenal new patient and relationship follow-through! With the ever-increasing amount of competition for new patients, the costs to acquire them are also increasing. Utilizing proven attraction and retention strategies, practices are not only surviving, they are thriving in a space where commoditization creep is affecting even the savviest solo and even small group practice owners. Questions about our services, Membership, or our new Digital/Online services? Reach out!